I spotted this necklace while browsing Bouf for a gift and fell in love with it, despite the hefty price tag (£242). 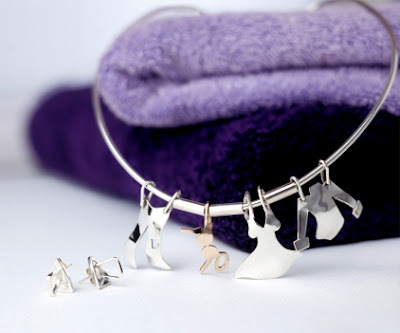 It features a gold bra charm, and silver trouser, dress and shirt charms on a washing line-style necklace. Buy it from Bouf.com for £242. super cute bracelet with the dangling accessories! Washing Line Accessories LinePost.Co.UK traditional washing line systems we have everything you need to set up an Eco-friendly line-drying system in your yard or outdoor space and deliver direct your door anywhere in the UK. Washing line systems using modern technology dry clothes quickly and effectively save money on electricity help the environment strong, durable and easy to use kits and accessories available.